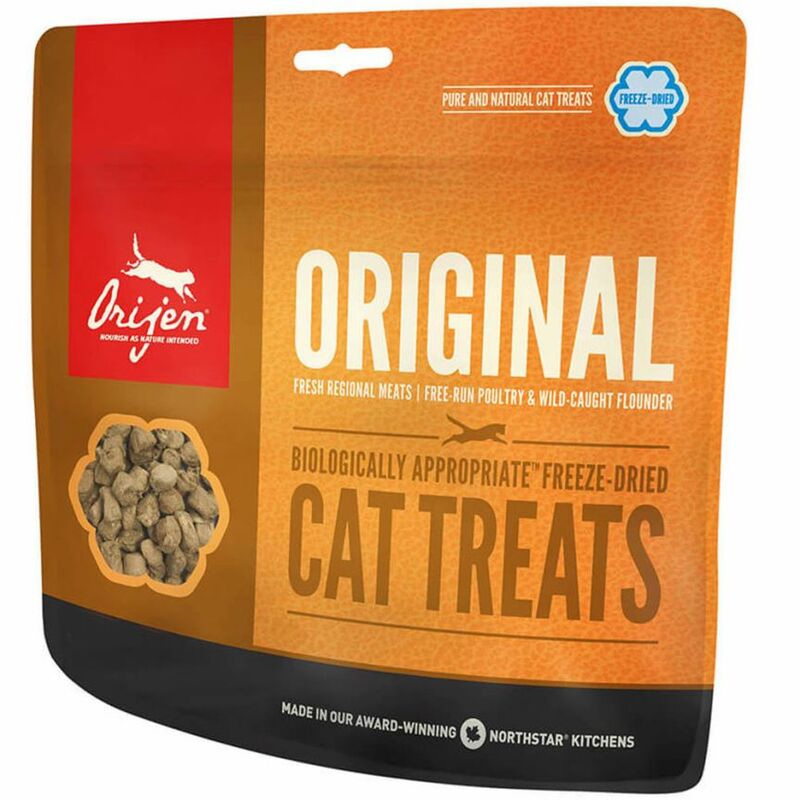 Orijen Freeze-Dried Chicken Cat Treats are made from 100% pure and natural meat with 45% protein content. These delicacies are freeze-dried to retain all their goodness in a concentrated form, making them irresistible for your kitty. Made from chicken liver, turkey liver, free-run chicken and turkey and wild-caught monkfish, these treats are also completely free from preservatives. These treats are loaded with proteins and do not contain any fast carbohydrates. 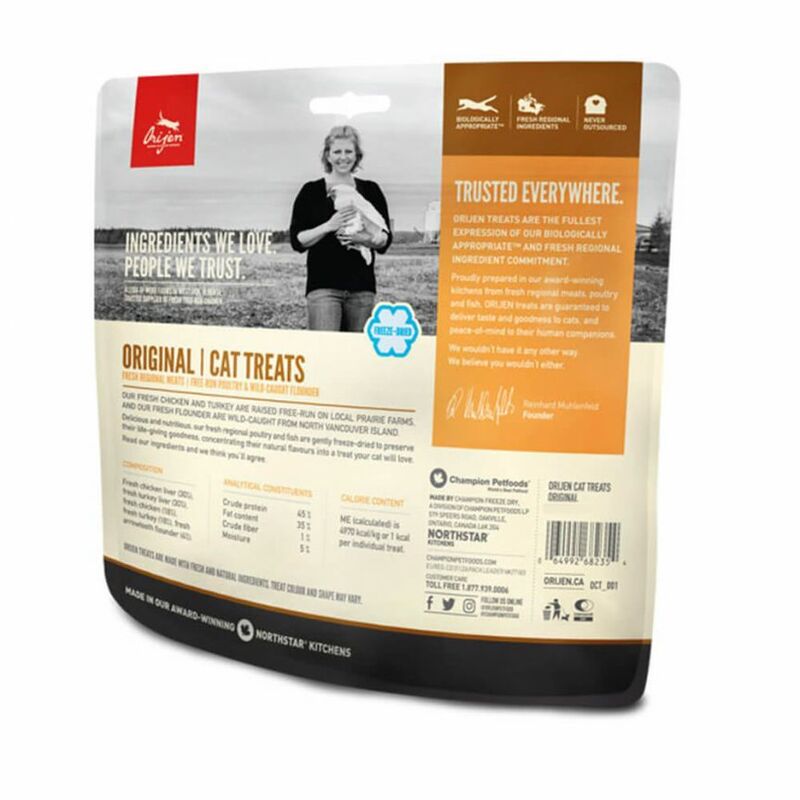 The nutrient-dense WholePrey ratios of fresh poultry, organs, cartilage and whole fish give these treats all the nutrients your cat needs, as nature intended. These treats contain only 1 calorie per treat and are completely free of carbohydrates. Treats are a healthy reward that your cat should get in moderation in accordance with his/her usual diet. OTP Sent to your Registered Mobile Number. Are you sure you want to delete cart item? Are you sure you want to empty cart? Subscribe to be a part of our family!